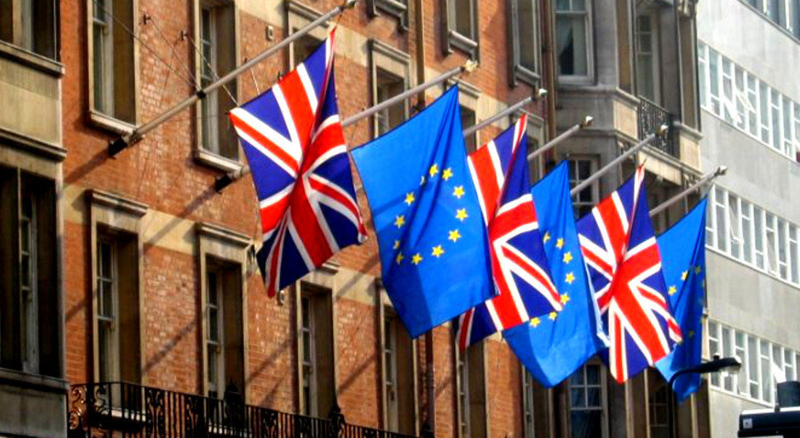 Home » British Politics » HAS BRITAIN REALLY CHANGED ITS MIND OVER BREXIT? HAS BRITAIN REALLY CHANGED ITS MIND OVER BREXIT? The majority believe that leaving the EU will make Britain economically worse off, have less influence in the world, have bad effects on British jobs, bad for the NHS and bad for pensions with Immigration being the only area respondents think BREXIT will reduce. Prominent REMAINERS like Chuka Umunna seized on a section of the latest YouGov poll to push their line of argument, maybe rightly so, the poll was conducted by an experience polling company. YouGov has got some results and polls wrong in the past, but by and large, it is still a reputable company. THE LASTEST YouGov poll again reveals a complex but a shifting of views that suggest a swing from BREXITEERS to REMAINERS camp but still not sufficient enough to claim a definite BREGRET. These polls relating to BREXIT has been going on since the June 2016 referendum and so by now, YouGov would have some consistency in data collection and noise smoothing technique, as such, the outcome can be taken seriously as a good measure of public opinion. However, on the other hand, while YouGov declared the number of respondents as 1680, how the data was collected is not clear. Are these 1680 people in one geographical area of the nation or spread across? how many people were polled in each area? These are important to be able to determine how representative of the nation this poll is since the BREXIT/REMAIN divide was not evenly spread across the nation. Some areas are overwhelmingly REMAIN while others are BREXIT. The poll, however, is a lot broader than just measuring BREGRET, there are other areas that suggests that REMAINERS may just be celebrating this swing in public opinion too early. Labour continued to maintain two points lead over the conservative, with Labour polling 53% of 18-24 yrs and 36% of 25-49%, beyond these two groups, the Conservative poll higher. The disparity in the party preference by these age groups may be informed by the policies of the two main parties. The disparity in the party preference by these age groups may be informed by the policies of the two main parties. The free tuition probably play a major role in the 18-24 yrs voting intention, while housing and nationalisation of services like railway may have helped in the 25-49 yr group. The poll shows that as the age goes up, people tend to switch to the Conservative party, favourable taxation policies may be a key factor here. Jeremy Corbyn has all but caught up with the Prime Minister in the opinion of respondents. The same poll initially has the Prime Minister at 36% and Corbyn at 33% with the “NOT SURE” category at 32%, however, the result this time shows that the conference speech by Mrs May certainly negatively impact on some of her credibility. The poll for Jeremy Corbyn did not improve or decline between the initial poll of 4th-5th October and 10-11th October, the Prime Minister’s declined by 3 percentage points, while the “NOT SURE” improved by 3 percentage points. This seems like the drop in Mrs May poll was due to the continued decline in her popularity and not necessarily rise in Jeremy Corbyn’s popularity even though Labour as a party now polls ahead of the Conservative. important issues facing the country at this time? BREXIT is by far the most important issue people believed to be facing Britain, with 65% of respondents rating this issue higher in importance than Health 37%, Immigration 33%, Economy 32% and Security 20%. BREXIT is important to people across all age groups, the over 65 years find the topic most important with 77% of respondents in this age group identifying Britain leaving the EU as the most important issue, this compared with 54% of 18-24 years. Respondents were asked series of 10 questions on which political party they thought would be best to handle problems facing the country. The labour party edged the Conservatives in four key areas namely the National Health Service, Education and schools, Unemployment and Housing, while the Conservative lead in six key areas namely Asylum and immigration, Law and order, Taxation, The economy in general, Defence and security and most importantly, respondents still rate the Conservative party highest on who is best to handle Britain’s exit from the EU. While there is a unanimous consensus across the political landscape that BREXIT is by far the most important issue facing the country at the moment and the ruling party, despite the chaos in its ranks, despite ruling out Britain’s membership of the single market and Customs Union still hold the highest trust among the electorate on which party is best to handle Britain’s exit from the EU. A section of the survey that can be seen as a total victory for REMAINERS contained series of the questions aimed at finding out people’s view of post-BREXIT Britain. In the all-important question that caught the attention of REMANERS was the one that asked: In hindsight, do you think Britain was right or wrong to vote to leave the European Union? In the earlier poll of 4th-5th October, 44% said Britain was right, this dropped to 42% in the latest one of 10th-11th, however, the fortune of the REMAINERS improved as the percentage of respondents that said Britain was wrong increased from 45% to 47%, however, percentage of “Don’t know” remained at 11% for both polls. The drop in the number of respondents that said Britain was right and the rise in the number that said Britain was wrong created a 5% difference between the two camps, the widest gap apparently since the referendum. While this poll shows a swing of 2 percentage point from the earlier poll to create a 5% gap now in favour of REMAINERS, the percentage of respondents that believe the Conservative party is the best party to handle Britain’s exit from the EU is 26%, this is significantly higher than the 18% that believe Labour is best handling the exit process. Despite LibDem’s declared intention of a second referendum or effectively a REMAIN party, only 8% would want the party near the negotiating table. The conflict here is that. if BREXIT is the most important issue as indicated by respondents, and the majority now thinks BRITAIN is wrong to leave, it stands to reason that the party with a clear REMAIN intention should be polling really high, high enough to threaten the two other main political parties. The other way to look at it is that, as BREXIT is the main issue in people’s mind and the majority of respondents prefer the conservative party to handle the exit process, it stands to reason also that the majority still wants to LEAVE, because the current Conservative strategy is pretty much what can be described as HARD BREXIT which include Britain exiting the Custom-union and the Single Market. The second most popular party preferred by the respondents to handle the BREXIT negotiation, the Labour party is not very far from the current government position. The position may be changing. but the party with a declared policy to effect such change is not moving up in poll, whereas, the two parties with overriding policies of leaving the EU are still poling high, one is in government and one may be elected if another election is called. Perhaps the most singular measure of a definite change in the views and desires of Britain to remain in the EU is to start switching party allegiance to achieve this aim.